Remember that cute kid in yellow and her younger sibling in a stroller barging in on their dad during a video conference with the UK broadcasting company, BBC? That video wherein their mom would later rush into the room to grab the two kids and the broadcasters – and their dad, too – were left baffled and in fits of laughter. It went viral not just because of how adorable and funny the whole scenario is, but because a large majority of the world can totally relate to the confused dad and the panicking mom. Working parents have been there before – some, too many times – and they all know the anxiety and the fear of your kid wreaking havoc as you participate in a conference call with at least five members of your management. 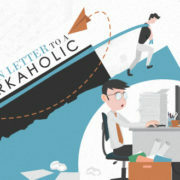 Parenting while maintaining a professional career is indeed stressful, but that’s the reality for almost sixty-one percent of married-couple families with a kid or kids under 18 in which both partners work. 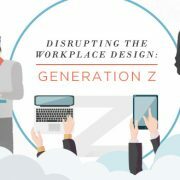 And because of the advent of remote working and virtual offices, more and more companies are encouraging parents to work from their homes. “Secrets of the Remote Workforce” co-author Teresa Douglas is a proud mom who has been working from home since 2010. And because of this, she learned how to set boundaries for her kids, even with a babysitter or a caregiver around. In order to establish this with her children, she puts a “STOP, in a meeting” sign on her door. In addition, she also implemented a house rule that if her door is closed, you can knock once, but if nobody answers, it automatically means she’s in a meeting. The physical barrier that you would establish can help remind you and your kid of the difference between work time and play time. 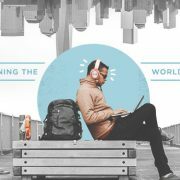 Digital lifestyle brand, Fatherly’s work-at-home dad, Patrick Coleman works on a separate room behind closed doors in his home to create a clear line between his work and his family. If your workspace is located in a shared space, baby gates can help keep curious hands away from important documents and equipment. But if your kids are not old enough to be by themselves or if there’s a pressing need for you to have more uninterrupted concentration time, don’t be afraid to ask for help. There’s an invisible responsibility placed upon the shoulders of parents that they should be great mothers and fathers as well as great employee,s and though balancing both seems to be impossible, the greatness of a parent isn’t only measured by how frequent they take care of their kids. If you can access in-house child care, that would be great. 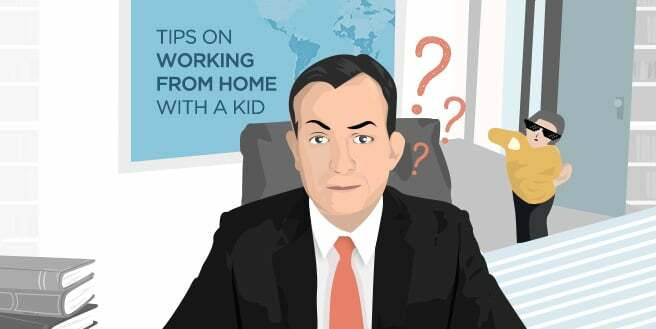 If not, try asking a relative or a fellow work-at-home parent to trade tasks. Other great alternatives would be setting up a virtual office. 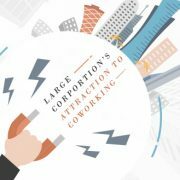 Certain shared office providers like Sales Rain offer virtual office packages that come with access to certain workspaces such as their coworking areas as well as meeting and conference rooms, so if ever you need to really sit down and work, you can just drop by their offices and go do your thing. The beauty of virtual offices such as the one offered by Sales Rain is that it allows you to have a professional space to conduct meeting with clients, take conference calls, and do concentrated work while having enough freedom to take your kids out. Not to mention that this also means giving your business a modern and professional looking front, it’s a win-win right? The viral video sure is funny but more than anything else, it’s heartwarming. It showcases the great lengths parents would go to in providing their kids with the best future that they can give – attesting to the theory that working parents are superheroes. Talk to Sales Rain today! And we’ll help you be the best superhero for your kids!